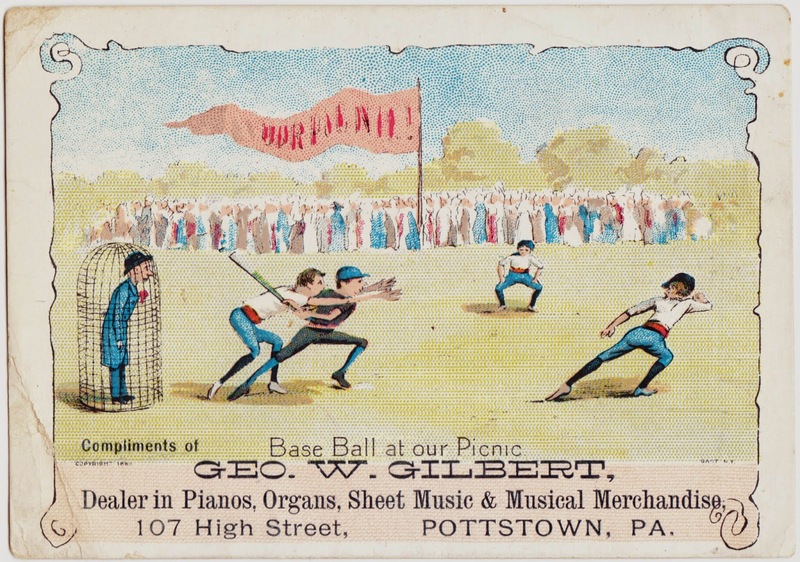 Papergreat: Advertising card from Pottstown, Pa.: "Base Ball at our Picnic"
Advertising card from Pottstown, Pa.: "Base Ball at our Picnic"
The card, which is 4¼ inches wide, serves as an advertisement for Geo. W. Gilbert, who was a "dealer in pianos, organs, sheet music & musical merchandise" and was located at 107 High Street in Pottstown, Pennsylvania, at that time in the 19th century. In the lower-right corner are the words "GAST N.Y." I suppose that could be either the artist or the printer. It's not hard to imagine that this is the last of this particular card in existence. 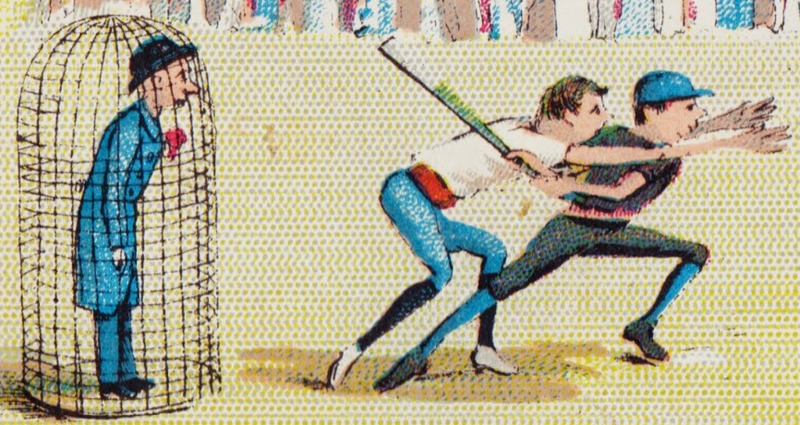 Here's a closer look at part of the illustration, with its caged baseball umpire.